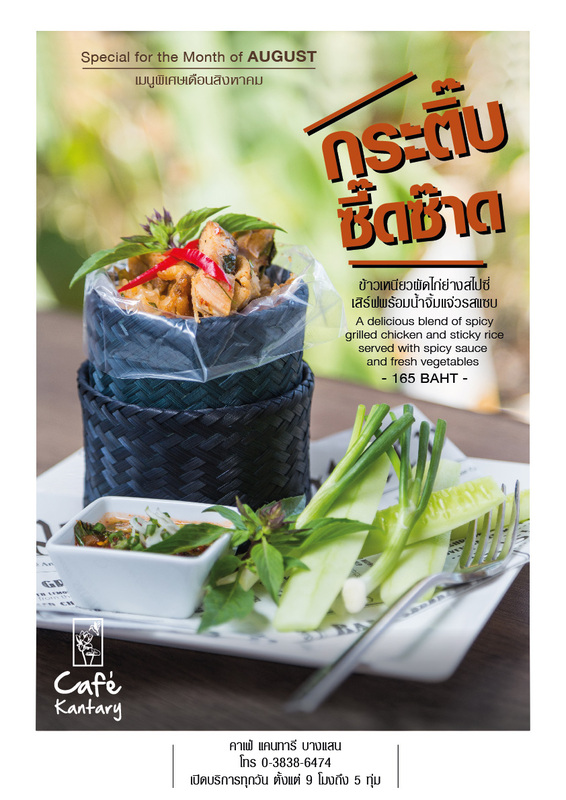 Through the month of August, Café Kantary Bangsaen invites you to try our “ KATIB-ZEEDZARD” A delicious blend of spicy grilled chicken and sticky rice , served with a spicy sauce and fresh vegetables. Get it now for only Bath 165 per set. วันที่ 15 สิงหาคม 2558 เวลา 11:46 น.